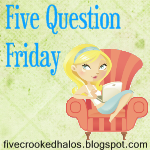 Today is Friday - & that means 5 Question Friday! I have many. But this one always will be the big one! i was a freshman in high school & my sister was a senior. For whatever reason, i had decided to sleep on the couch that night (no CLUE why - i guess the embarrassing part is so ingrained in my mind that i forgot why i was in the living room in the first place!). Anyway, i thought only my parents & sister were in the house & that my sister's boyfriend had already gone home. How wrong i was! I decided the living room was also an appropriate place to change clothes, since everyone was asleep. My sister's bf chose that moment to decide to go home. In mid-change, my sister's boyfriend walked through the living room. Oh the horrors! And this is even more embarrassing than it sounds because of how exposed i was! EEK! His reaction was to turn bright red, stuff his hands in his pockets & march quickly through the room, mumbling "goodnight". HA. 3. What TV show would you like to be on? Oprah, The Biggest Loser, or What Not To Wear? I'd also be okay with, like Mama M said, dressing as horribly as possible so that Stacy & Clinton could give me some fashion advice, a huge shopping spree & a free hairdo & makeup! 4. Would you ever get plastic surgery? And what kind? I kind of feel the same way about plastic surgery as i do about tanning beds. Which means, NO WAY!!! Though CERTAIN kinds, i think are understandable. I have 3 pair of jeans all from Lane Bryant. One is too big, one is too tight & one is just right. So the just right ones are naturally my favorites. YOUR TURN! 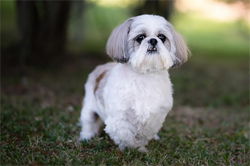 Head on over to Mama M's! Oh my gosh hahah! Your embarrassing moment!!! EMBARRASSING!!!!!!!! OMG I totally did that last summer!! I was walking through the house at my parents to get a shirt that was in the laundry room and my sisters boyfriend was still there. I walked past the room he was in and was like OOPS! It was super embarassing when I had to face him the next time!! oh my, i feel embarassed FOR you! eek!